545cc propel this liquid-cooled single cylinder down the trail nicely. Electronic fuel injection keeps this machine running at peak performance in the coldest of cold or during the dog days of summer. Double A-arms optimize wheel motion translating into more responsive steering and better cornering. 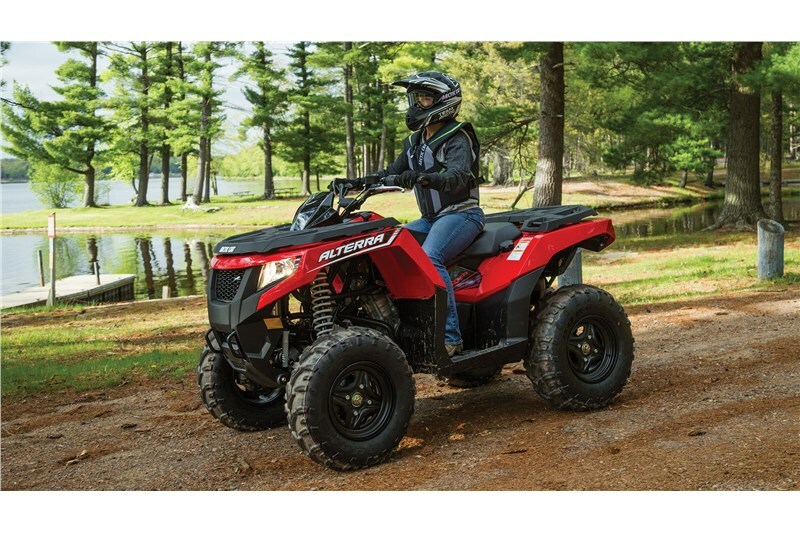 With 11 inches of ground clearance and 10 inches of suspension travel our Ride-In suspension will stare down anything you can put in front of it. The Power Sport gauge packs one heck of an informational punch. The digital gauge features all the essential operation information indicators: RPMs, speedometer, trip mileage, gear indicator, digital clock and fuel indicator. 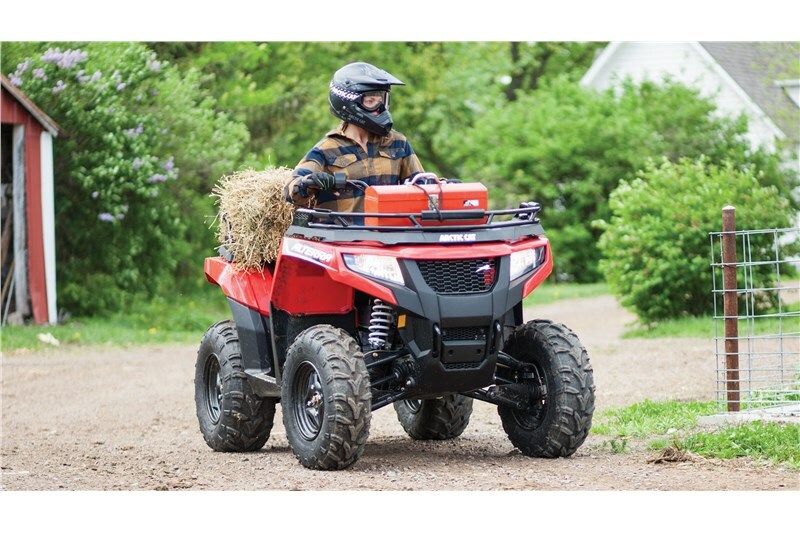 Arctic riders prefer to be in control with their on-the-fly 2WD/4WD. 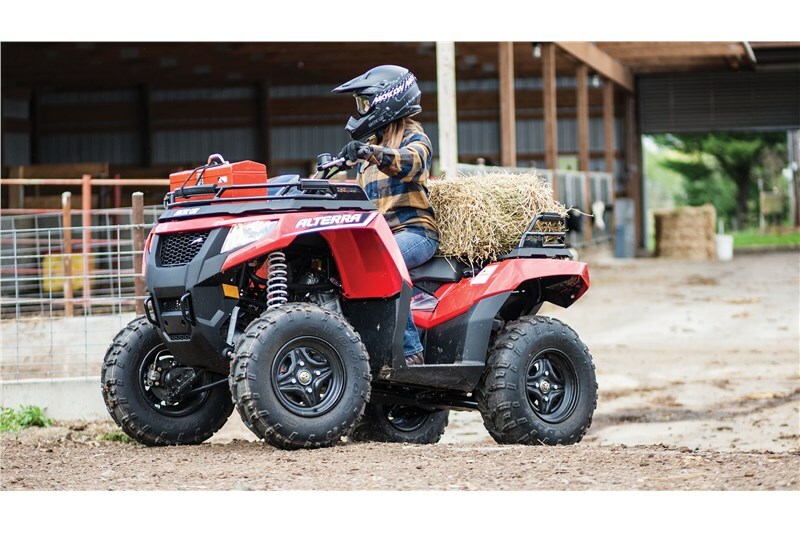 Tackle more rugged terrain by locking the front differential with a flick of the switch. The Duro 3 Star Kaden is a great all-purpose tire. Smooth ride and grip for days. The powder coated steel wheels add that no nonsense look. Constructed from high-grade rubberized, impact-resistant material on top of a layer of reinforced steel, you can pile heavy loads on it without it breaking down, even in freezing temperatures. It also features 14 SPEEDLock™ attachment points for easy-on, easy-off accessories. 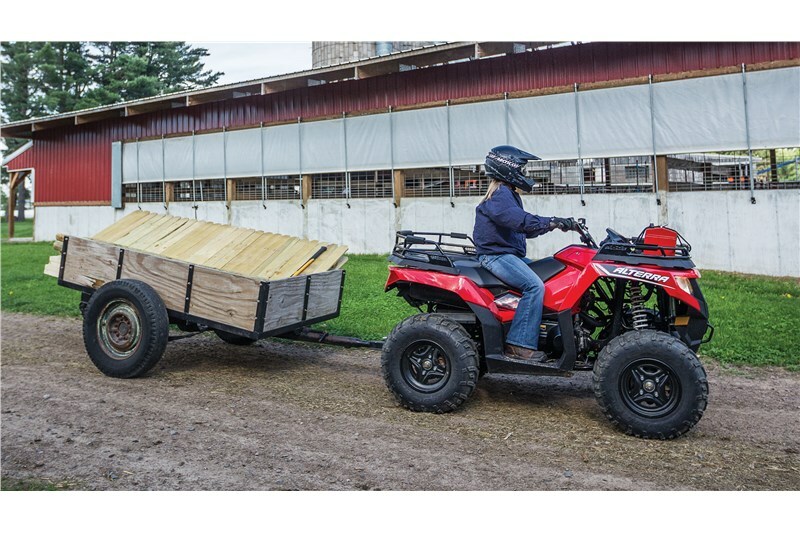 Hooking up to your boat trailer, utility trailer, SPEEDPoint™ attachments or whatever you need to haul doesn’t get much easier with this rugged, 2-inch rear receiver. A 1.44-gallon rear storage compartment is larger then you might think. Go ahead and see how much you can put in there. Plus, it’s water-resistant. 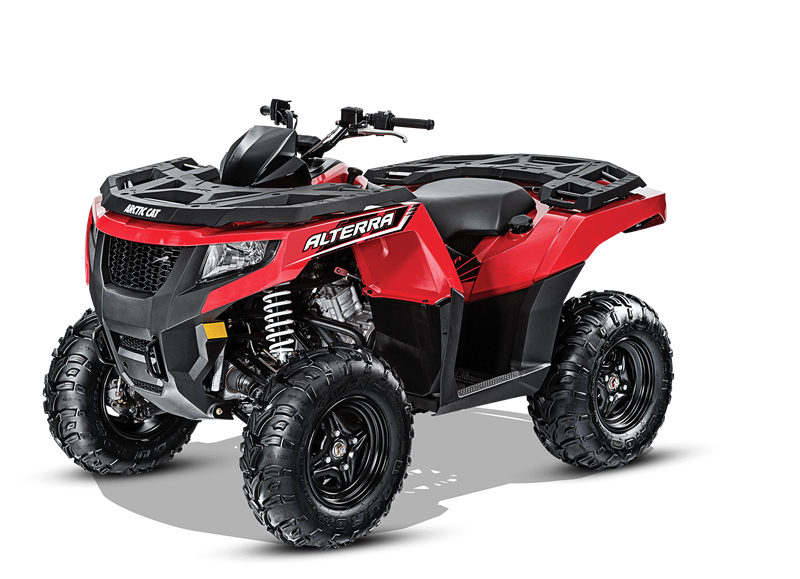 Best Prices on Arctic Cat Snowmobile and ATV Parts.